Around a quarter of the population in Cambodia was wiped out by the Khmer Rouge but a lucky few were able to avoid the very real prospect of starvation, imprisonment or simply being worked to death by fleeing the country. Among them were the parents of Suasday Chau who decided to risk their lives in an attempt to escape after seeing many of their friends and family killed. They made it as far as Thailand which is where their son, who would go on to become a successful mixed martial artist, was born. Eventually the family found refuge in Australia where Chau has lived since he was two years old but despite growing up in a Cambodian household and speaking Khmer with his parents he had never visited the country of his ancestors until this year. The 33 year old, who holds a pro record of 4-3, is booked to compete on the card of ONE FC: ‘Rise of the Kingdom’ in Phnom Penh on September 12th and having visited the country for the first time recently he plans to bring his father back with him next month. “I have only been back once, in July this year but it was a very short visit, a meet and greet but for this fight my Dad, who has never felt comfortable going back home because he believed it would be too dangerous, will be travelling in support,” he said. For Chau’s Father it will be the first glimpse of Camboda in 30 years and while the country has been at peace for over two decades people who witnessed first hand the horrors of the Khmer Rouge have had their perceptions of the place permanently tainted. Chau grew up in Australia and says that the things he learned about Cambodia initially made him grateful that he had never set foot in the country. “For most my life, I had no want or desire to see Cambodia because what I had heard, read and seen about it only brought me feelings of despair and anguish and questions as to why and how such evil can be allowed to happen,” he said. 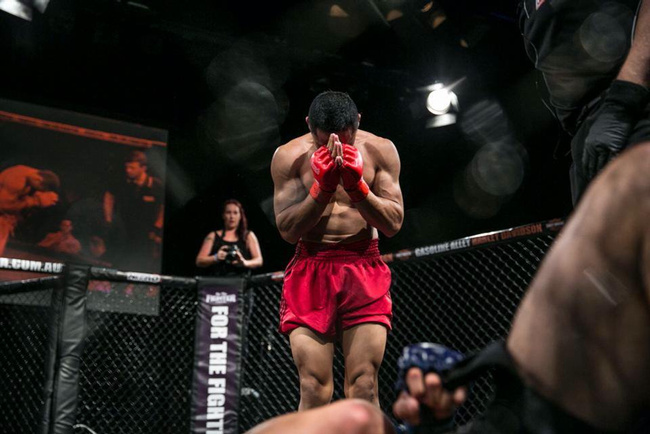 It wasn’t until he happened upon a TV documentary about Cambodia that Chau started to become more interested in the country from which his parents once fled and when he heard ONE FC had booked a show in Phnom Penh the lightweight immediately knew he wanted to be involved. “Once I knew they were coming to Cambodia I wanted in because something inside me decided that I had to be on the event. 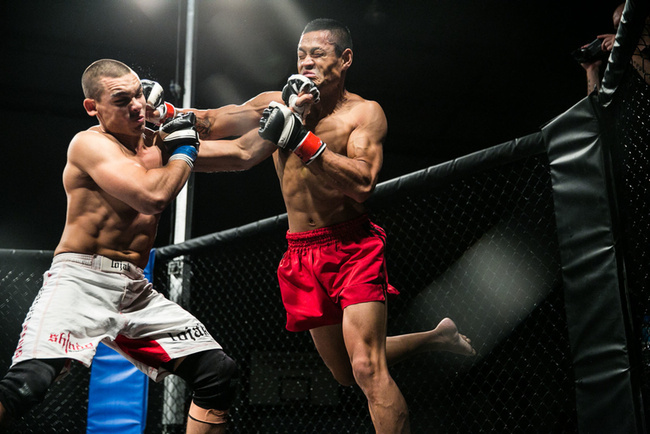 I was desperate and I bugged ONE FC constantly until they said ‘yes’,” Chau said. 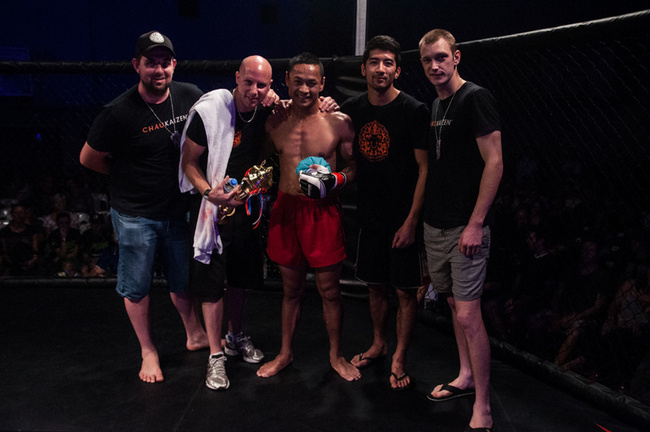 Given the violence from which his parents fled it is ironic that Chau will be returning to Phnom Penh in order to compete in a cage fight but he is looking forward to learning more about his family’s history. “I am honored and humbled to be fighting in Cambodia and I hope to be at my best but I am also very excited to explore Cambodia after the event and to see through my Dad’s eyes his country and our homeland,” he said. It would be understandable if Chau’s parents had mixed emotions about him travelling to Cambodia in his capacity as a professional mixed martial artist but he says they have been completely supportive and are hoping he can claim a win against experienced Frenchman Arnaud Lepont.